It’s usually not a good thing when a professional athlete makes more news off the field than on it. However, Tim Tebow seems to be one of the rare exceptions to that rule. The NFL quarterback-turned-baseball player consistently makes headlines for his work with cancer patients and children with special needs. Tebow organizes a yearly event called Night To Shine, which gives teenagers with special needs a chance to go to the prom that they likely never had. This past Valentine’s Day, over 75,000 special needs teenagers participated in the event. At a recent Spring Training press conference, Tebow was asked about Night To Shine and his work off the field. 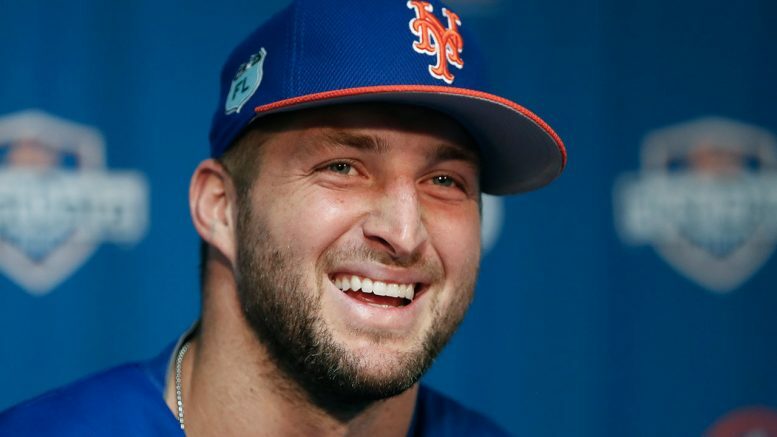 A reporter asked if Tebow finds it hard to find a balance between fulfilling his passion off the field with the demands of playing the game of baseball and trying to succeed on the field. Tebow’s answer reflects someone who clearly has their priorities in order.